This side of heaven we sometimes catch glimpses of understanding about our own situations. But more often than not, God asks us to rely on His Word to reassure us of His love and character, as well as the promises He freely gives to those who love Him (1 Corinthians 2:9). 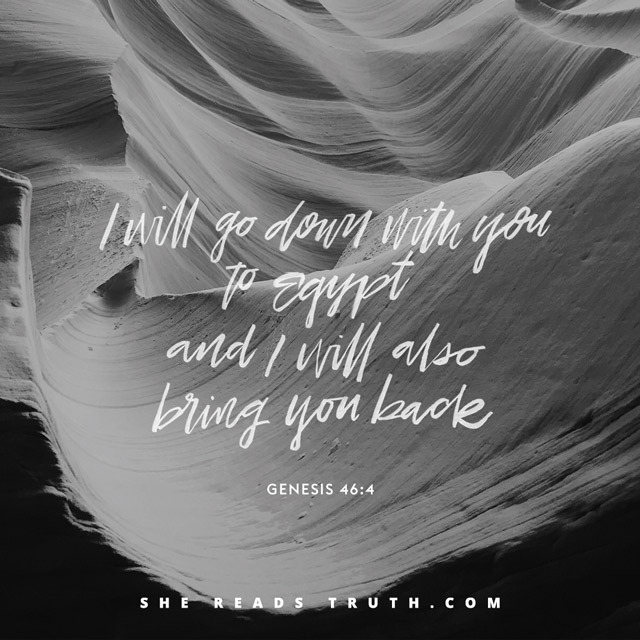 As we near the end of Genesis, we read about Jacob as he approaches the end of his life. Through Scripture, our vantage point gives us the ability to review his life in its entirety, enabling us to see God at work in Jacob and also in spite of him. Jacob’s story is one marked by deception. Some instances were instigated by Jacob (Genesis 27:36), and in others, he got as good he gave (Genesis 29:25)—which isn’t saying much. His relational experiences ran the gamut: from strife, grief, and loss, to promises kept and broken. They dot the landscape of Jacob’s life. Perhaps to Jacob, his circumstances seemed haphazard. But we have the benefit of Scripture to offer us perspective on how all the pieces of his life worked together for God’s greater purpose.